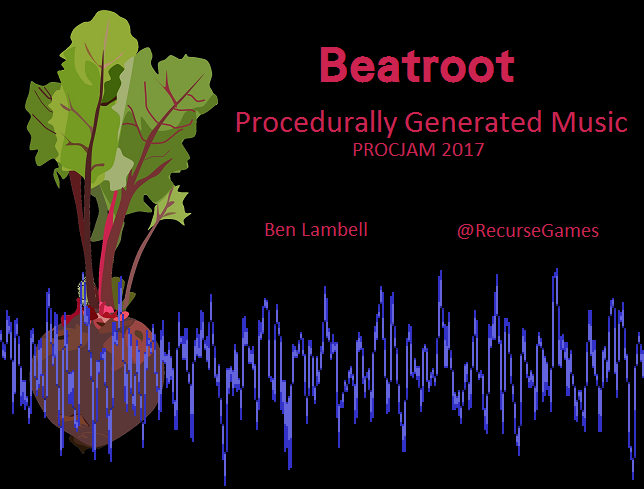 A procedural music generator, submitted for PROCJAM 2017. Or, download the program here and generate your own. Instructions: enter a random seed and click play. Mmm, procedural music. I'm hoping to use this music for future projects in Unity, so the player is made with Unity. The system for generating the music itself does not require Unity, and could be used to output MIDIs or other formats. When I've got a bit more time, I'll look at writing up the technical implementation and open-sourcing it. Um, so seed "NEIN NEIN NEIN NEIN" (297970094) & "EIN NEIN NEIN NEIN" are silent. This seed is the only silent one I've found (its neighbours are pretty cool though). "NE NEIN NEIN NEIN" & "NEI NEIN NEIN NEIN" are actually pretty nice tunes, though. And "HOW ABOUT A LITTLE JAZZ" (868837680) is most definitely not jazzy. "how about a little jazz" is more of a Castlevania battle theme than anything. Wow, well done! I wondered whether any seeds were broken. And aw, "HOW ABOUT A LITTLE JAZZ" is in Chromatic Scale - that's not meant to be in there. Also, this is pretty neat. A way to export the midis would be super swell. Thanks! I would've liked to generate MIDI files (the instruments would sound much better), but getting them working in Unity was going to be too hard. 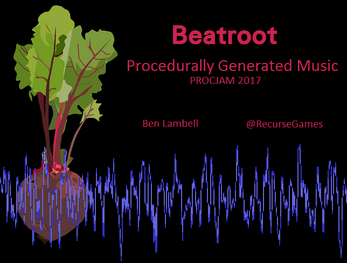 If I ever use Beatroot in a proper game, I'll probably give it another try.